decorative painting | Adventures In Styleland! Mothers Day.. Moms really do know best..
She made our home beautiful, chic and inspiring while juggling both a full-time job and being a mother. I learned about fabrics and sewing from my mom. She was an extraordinary seamstress. When I was little, I loved going to the fabric store with her — it was a world of imagination and creativity. She taught me to appreciate quality, natural fibers like wools, silks and fine cotton. Now working with fabrics is one of my favorite parts of decorating. Another important lesson she taught me, never to buy what I don’t need: a bargain is only a bargain if it’s something important. I also learned all about color selection and furniture arranging from her. We lived in Brooklyn NY in a 6 room apartment, she always kept it fresh, ever changing.. and I firmly believe that had this wonderful woman been any less interested in our family home as I grew up, I might not be where I am today. My mother taught me that it’s important to develop personal style, buy the best quality you can afford and mix family pieces, antiques and comfortable upholstered furniture– eat in the dining room, use your china or better dishes on Sundays.. I learned to respect our home and everything within it, including my mother. My mom used to rearrange the furniture a lot — it’s surprising how furnishings can look completely new when viewed from a different angle or in a different room. She also taught me that every window looks empty and cold unless softened by a window treatment, she changed hers often. She was never afraid of bold patterns, I remember her sewing room or the SPARE ROOM, we had large orange and yellow wall paper, and smaller floral wall paper on the ceiling.. It was cutting edge at the time.. When I was little, my mother always dressed — she was glammed up even when cleaning the house. From her, I learned to dress and decorate with the intent to be gorgeous, having no fear of color. I will end here with a couple of ideas for what to do for your mom.. Source and pay for a house cleaning service for a few months. A house cleaning every two weeks, I’m sure all moms would appreciate the break. That being said, do not buy her a vacuum, cleaning supplies, or tools unless she specifically asks for them. I’m looking at you Dad. Spend time, yes…time… take the day and pull out pictures, family vacations reminisce with her, make cookies sit and have a cup of coffee.. Love her and let her know that she is the most important women in your life. The Process of Selecting Color.. Choosing a wall color can be fun, its all in the approach….and help from your painting professional! While doing a room for Vanguard Showhouse, I was asked to do a tour through the house and talk about the paint colors. As National Color consultant for Certa Pro Painters, I was happy to lead the tour. Q : What is the lovely grey color on the walls? And how do I know if it’s right for my home? 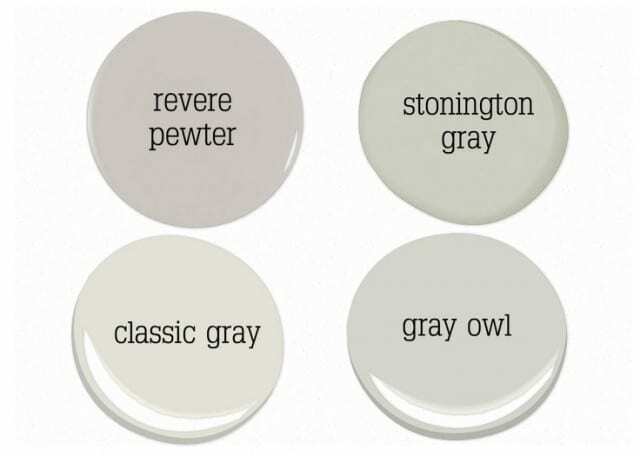 A: The question-of-the-day on the house tour was ‘What color are the walls?’ The answer was Benjamin Moore’s Revere Pewter. Once I answered, nearly everyone who asked the question, replied “This can’t be Revere Pewter ! 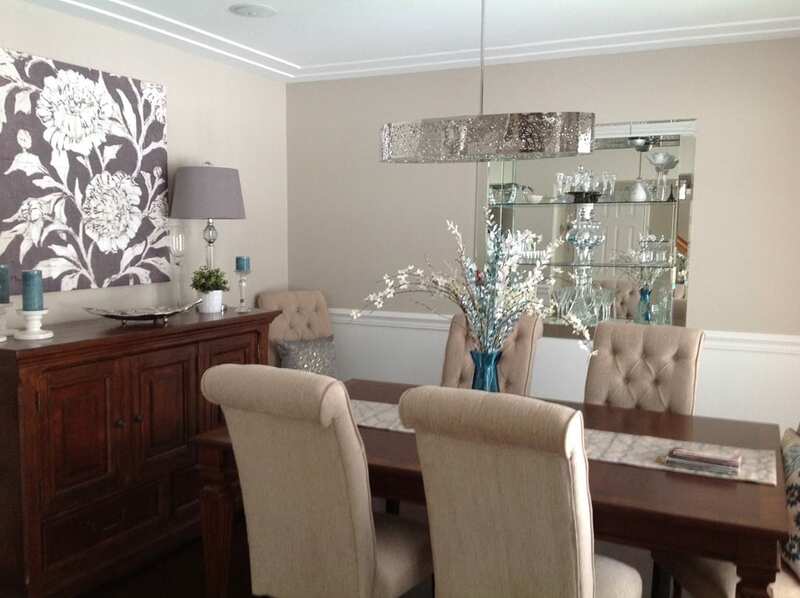 I have used that color or have sampled Revere Pewter and this is not what it looked like.” Although each person’s experience with Revere Pewter was different, the consensus was that the color looked great in this home. Selecting the right paint color for your space is a process that takes time and a number of steps to achieve. Artificial light : will you have incandescent, fluorescent, or LED lighting? Or a mixture of some or all of these? 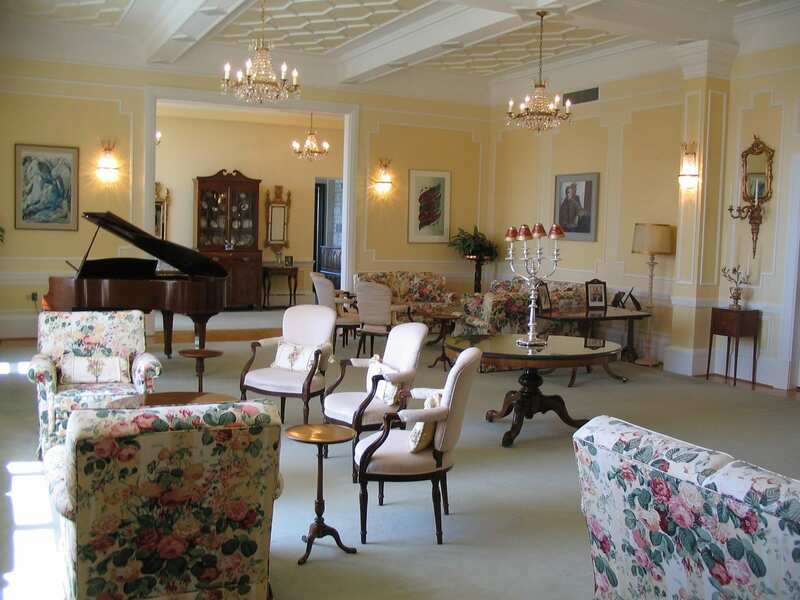 Surroundings : what furnishings, artwork, draperies, rugs, and hard finishes are there in the space? Each of these factors will have an influence on the wall color. I always recommend hiring a Professional Painting Service. At CertaPro Painters they know the highest quality paint products to use with the right finishes that will enhance your walls. With this expertise, they will recommend these products to you to ensure that your painted surfaces look their best and stay looking beautiful for as long as possible. 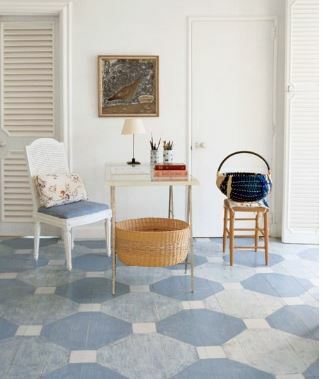 Paint colors should be selected in the space they will be utilized. Look at the color swatches next to the fabrics and finishes intended for the space. Start by finding a few (2-3) options for each space. If the large color sheets are not available, ask the paint store to mix the smallest quantity for you (in the intended sheen) for each of the options you have selected. 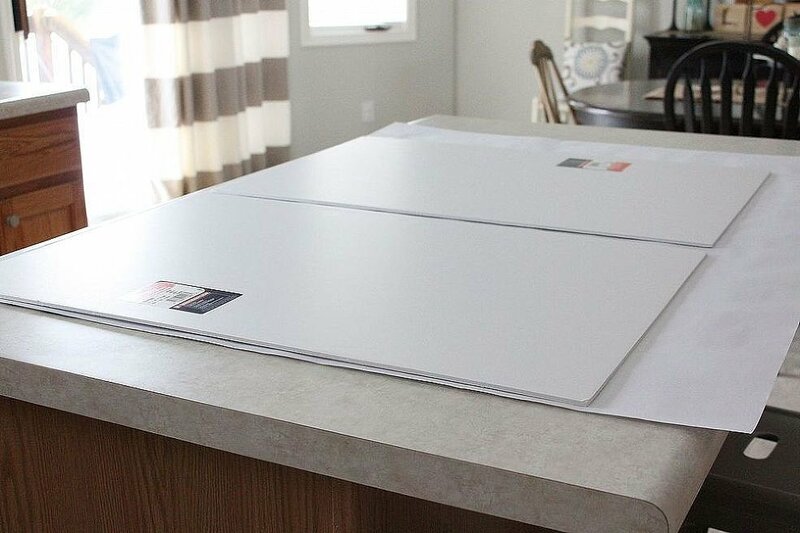 Paint the colors on a board such as poster board, or some spare drywall pieces. Painting on the wall may seem like a great shortcut, however as soon as you put 3 big splashes of color on the wall next to each other, each of the samples is affected by the other colors, and are therefore not rendering true. Another reason to sample on a board is that you can carry the color from room to room, as well as from wall to wall. The color will look different on a wall with a window than a wall opposite a window than on the ceiling. Seeing the color in multiple locations, and at different times of day (with natural light during the day, and artificial light in the evening) will allow you to really study the color and decide which is right for you. If you are still feeling unsure about the process and selecting the right colors for your space, please give Certa Pro a call they would be more than happy to provide a color consultation for just the one room you are ready to paint, or your entire home or commercial space. Set up your appointment for a free quote at the Home Expo Terri Gargano of CertaPro Albany will be at Booth 348 in the Times Union Center. 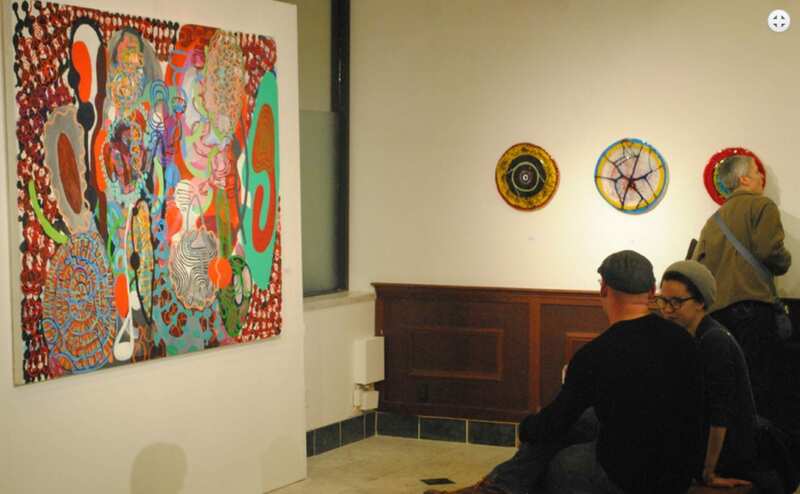 Albany Center Gallery has provided a platform for 39 years for the work of contemporary visual artists to engage the public, Leslie Urbach opened the gallery’s doors in 1977. The Albany Center Gallery (a non-profit art space) that is dedicated to exhibiting contemporary art of the Mohawk Hudson Region. They have at least 7 major exhibits each year. Located at 247 Lark Street in Albany, the Gallery holds regular classes and workshops. Leslie Urbach passed in 1997 at age 88. His mission of fostering regional art helped launch the careers of numerous area painters, sculptors, photographers and printmakers. 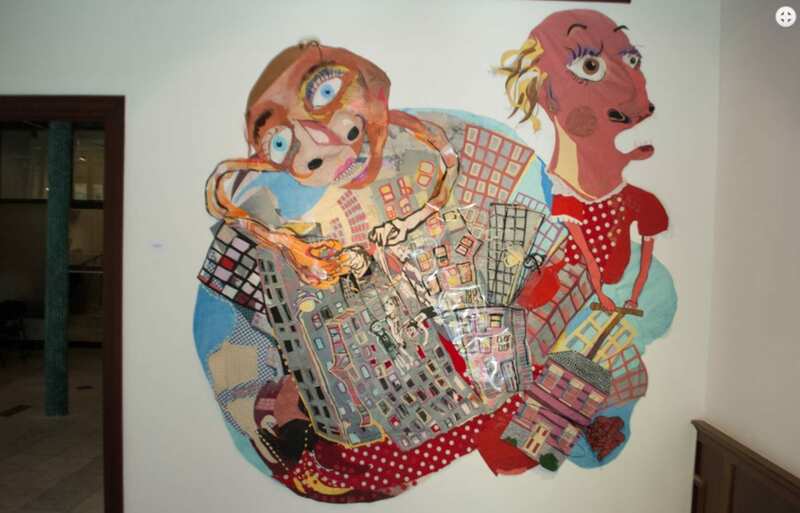 Albany Center Gallery will have various artists on display at the Times Union Home Expo. February 19-21st. 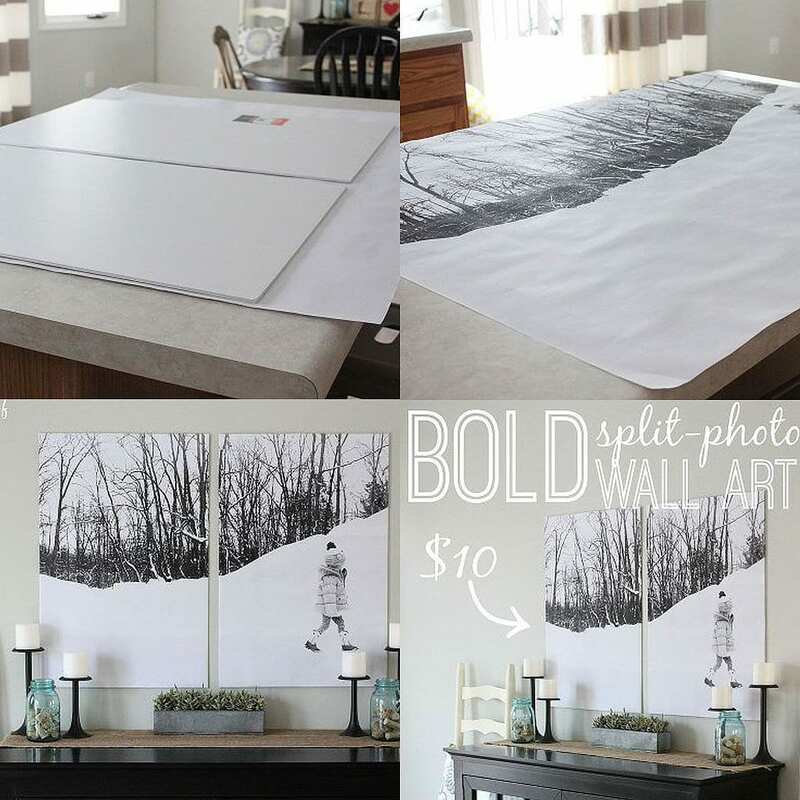 Wall Art for Less Than $10!! 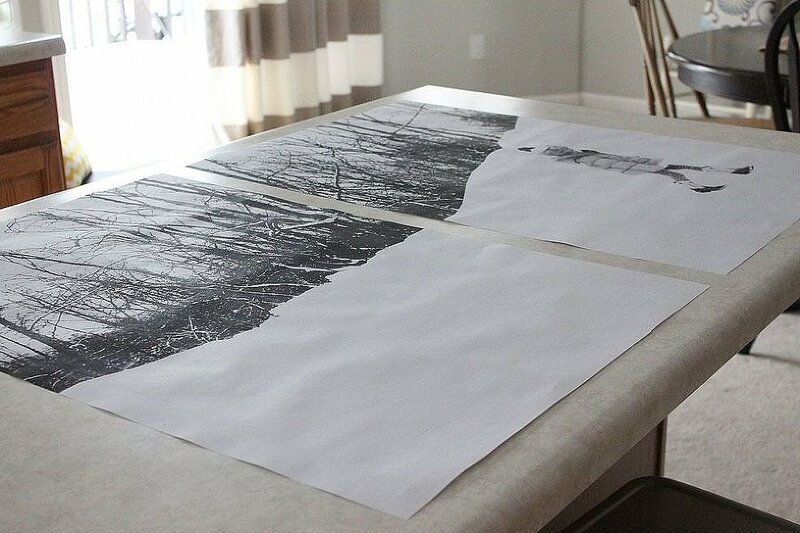 Art done right..I love finding these little DIY projects that we all can appreciate! Surfing the internet on FB. I came across this article from Popsugar.com. I just had to pass it along! Enjoy!!! 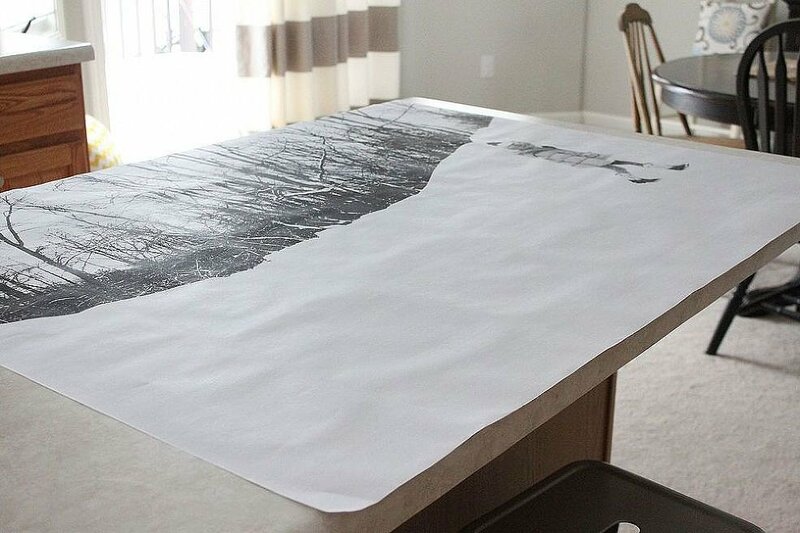 I took a photo to Staples and had them print it out as a 36-by-48-inch Engineering Print ($8). Using two 20-by-30-inch foam boards from Jo-Ann ($1 each), I figured out where I wanted to “split” my photo. I cut my photo into two photos, with a one-inch border to fold around the foam boards. 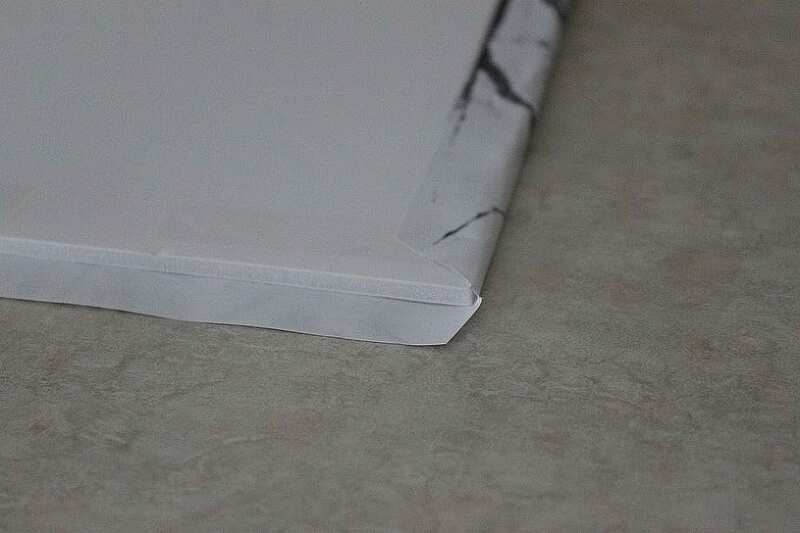 I angled the corners and wrapped the photos around the boards. I used double-sided tape to secure the photos onto the foam boards. Perfect (and cheap!) wall art! 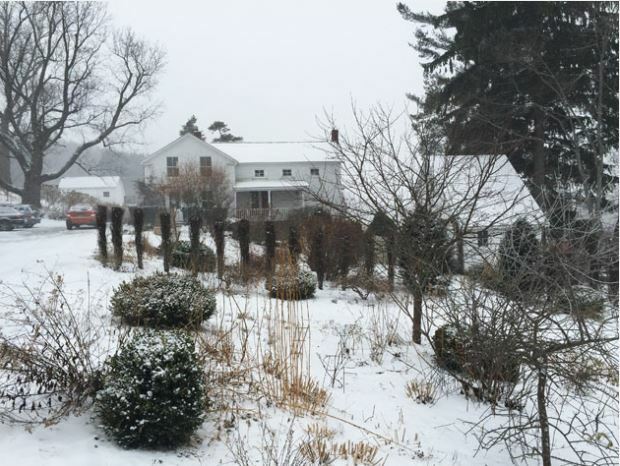 On Merlin Drive today my yard looks pretty but very cold brrrr…..
As temperatures drop outside stay warm inside with some cozy fireplace inspiration. 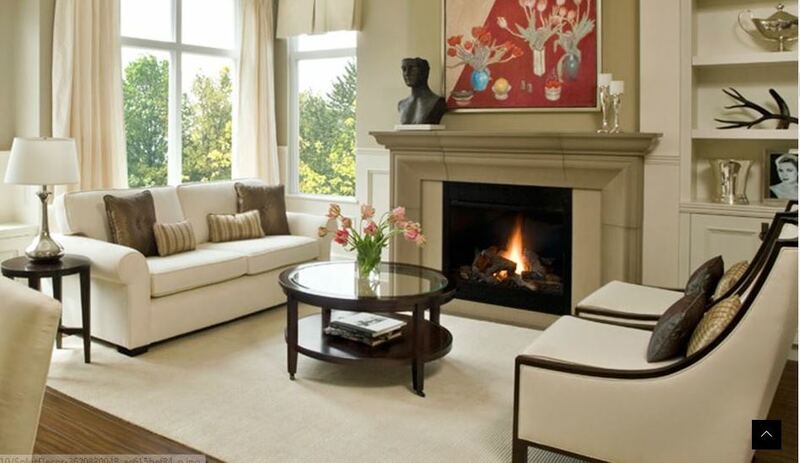 From traditional to modern, gas to wood-burning, a fireplace can add a serious cozy factor to your room. 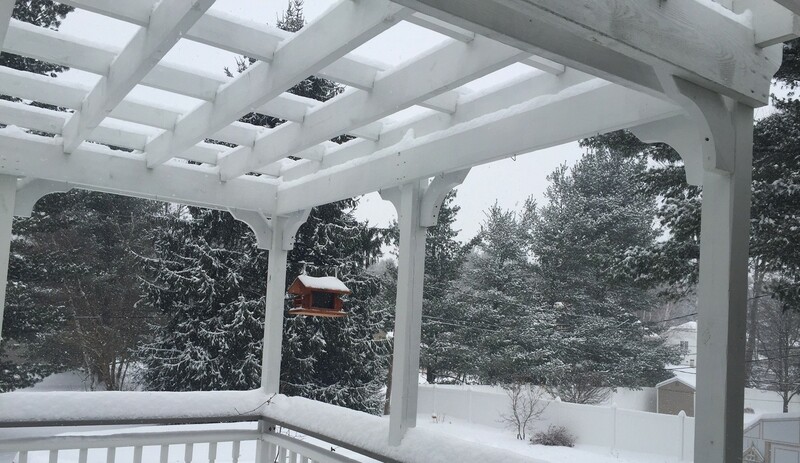 Just imagine snuggling up to a warm fire on these frigid nights. If you’ve already got a fireplace, there are many ways you can give it an update to change your look. Repainting the mantle or changing out the accessories and art above it can update your space with little effort. This neutral fireplace mantel is dressed with a bright, colorful painting! 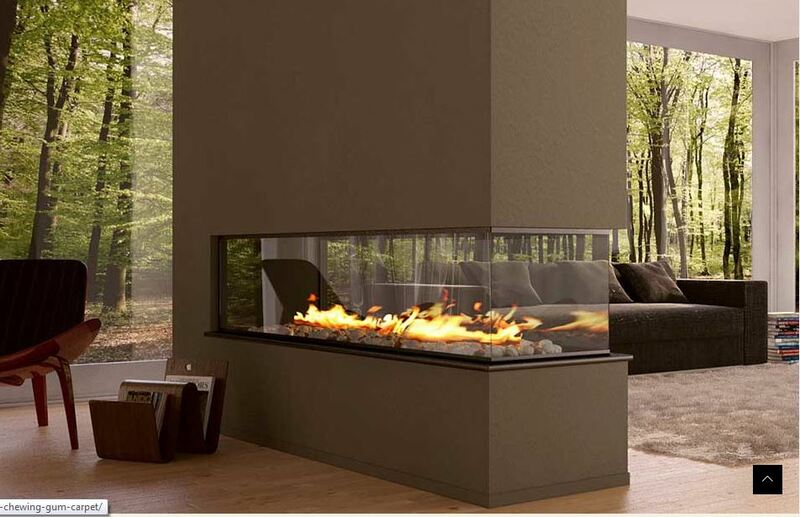 This modern fireplace adds warmth you can enjoy from every angle. 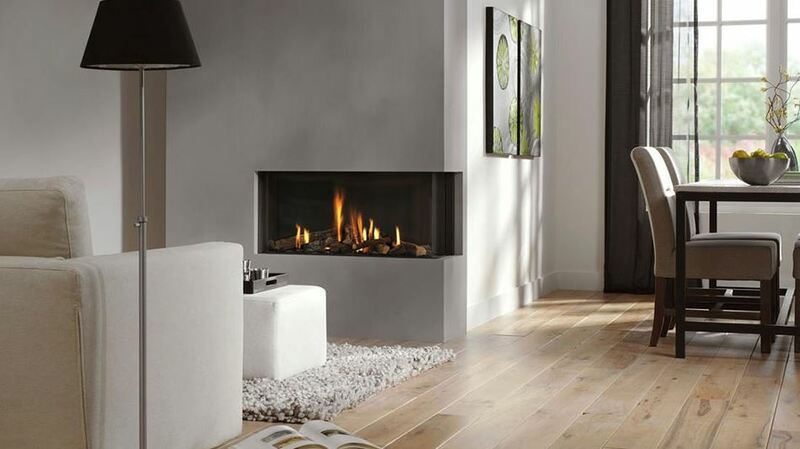 You won’t have to worry about tripping on this fireplace that fits seamlessly in the wall. Grab a good book, settle in and Stay Warm… Stay tuned for more wintery days and Adventures in Styleland..
Garden designer, stylesetter, and philanthropist Rachel “Bunny” Mellon She designed and planted a number of significant gardens, including the White House Rose Garden, and assembled one of the largest collections of rare horticultural books. In Winter when all the flowering plants have collapsed, I feel this is the time to go outside and look at the structure of your garden. I love walking through the garden on these frigid days. It helps me anticipate the return of spring and what it will bring. 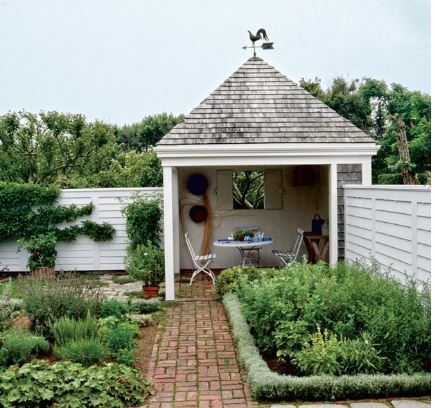 I believe that weather is one of the most critical design issues for a garden. I think good design features the many faces of the weather. I feel that you have to establish some structure- some good bones. Good bones can be built upon, or stand on their own. Structure in the landscape in our zone has to take the winter season into account. In Vanity Fair some years ago this, below, stopped me. A kindred spirit. 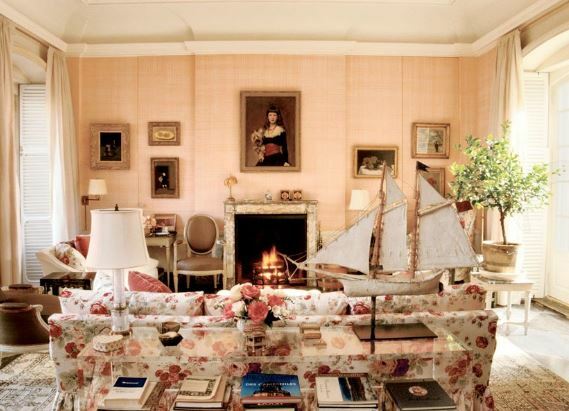 Who exactly is Bunny Mellon? In the fullness of time, may she keep returning to your radar, as she does mine. 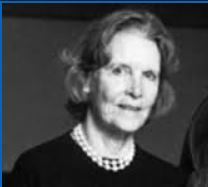 Mellon was born into a pharmaceutical fortune in 1910 (her grandfather Jordan W. Lambert manufactured Listerine) and married into a banking one in 1948, when she wed Paul Mellon, her second husband. Mellon’s greatest acclaim came not from her masterpiece acquisitions, however, but from her self-taught skill at sculpting the natural world. 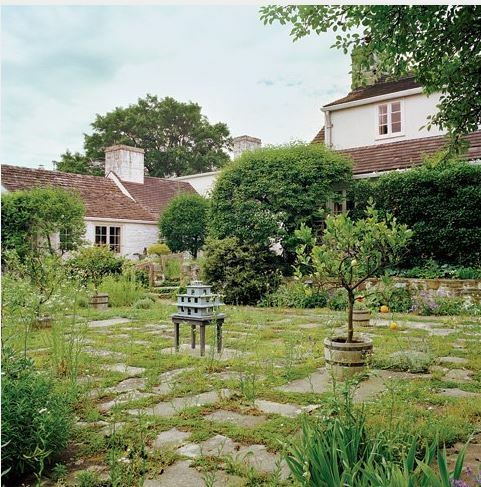 Garden designer Lanning Roper, called her “the leading landscape genius in America.” Far less known are the remarkable interiors she created in the dozen-plus residences that Mellon and her family occupied in the U.S., France, and the Caribbean. Relatively small, intimate houses were Mellon’s preference, livably elegant and skirting clear of pretension. “Make it look like we just brought it down from the attic,” Mellon told Bruce Budd, one of the decorators she worked with (the roster also included English master John Fowler and American tastemaker Billy Baldwin). 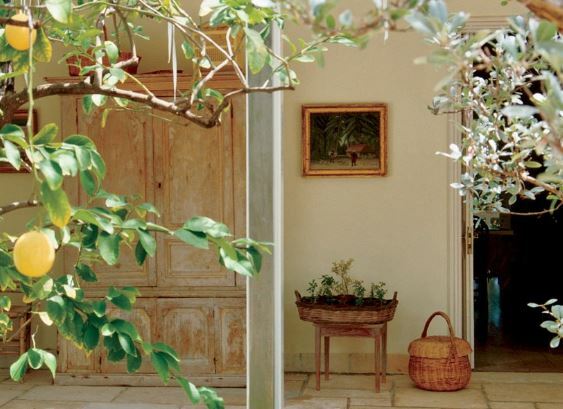 In every room in every house, Mellon placed what she called “standing herb trees,” which she developed in 1952 while recovering from tuberculosis, having been inspired by topiaries seen in the medieval manuscripts and early garden manuals. Southerby’s Auction house says its multi-day sales of Racel Bunny Mellon’s furnishings art, jewelry, and other objects totaled $218 Million. Three works — two paintings by Mark Rothko and a fancy vivid blue diamond — fetched over $30 million.The 9.75-carat pear shaped gem set an auction record for any blue diamond. The benefits went to The Gerard B. Lambert Foundation. 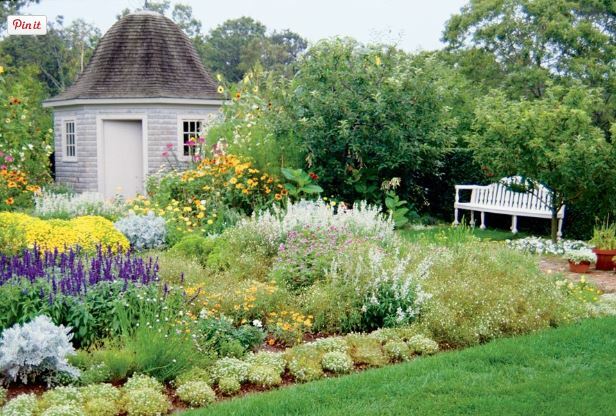 It supports The Oak Spring Garden Library in Upperville, Virginia, which houses Mellon’s collection of works related to landscape design, horticulture and natural history. Building a new home? Remodeling a room in your home? Well this year we have so much in store for you. Meet Jason Cameron February 8th, from the DIY Network. Watch our website for additional information on shows and events. My name is Michele Conti I am a local Designer/Blogger in the Albany Area! I will be here for the next few weeks, sharing information about the home expo, giving you DIY ideas and little blurbs about some of the Vendors and shows that the exhibitors will schedule during the expo. Check out our link on Times Union Home Expo. 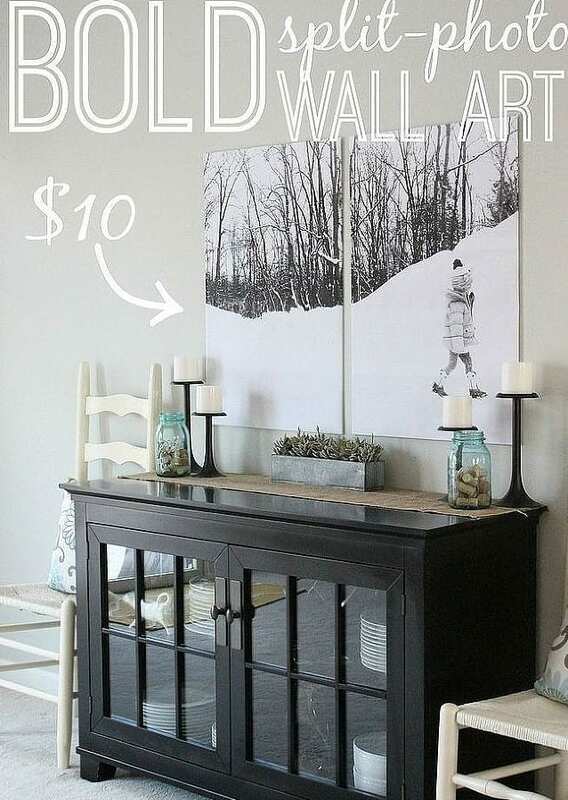 Below is a quick and easy DIY project for you… With a little help from Behr Paints available at Lowes located in the Times Union Center booth 284-285 this crafty idea was a breeze!! Check out the Times Union Home Expo 2015 Web site and read my blog everyday now thru February 6th for great info and DIY projects!! Chat with you soon!!!! Stay Tuned for more project information!